Mignonne has been proud to feature the artisanal furniture pieces of Billy Kroft for over two years. Billy supports the concepts of reduce, reuse, recycle with each creation. Capitalizing upon the beauty of woods aged by nature, Billy salvages materials from barns and other sources to fashion specialty furniture. Each item is unique, handmade and produced with the care and attention to detail that are hallmarks of artisanal work. 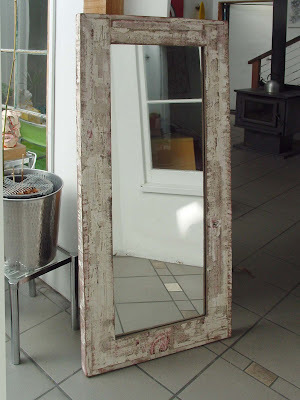 We now have a new selection of Billy's popular mirrors. The wood and glass are all recycled. 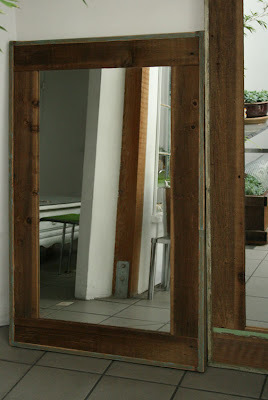 Billy's mirrors range in size, from small accent mirrors to huge focus point mirrors, a meter or larger. Prices range from $125 to $595.